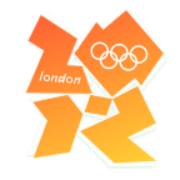 have they strarted to remove all the olympic rings dotted around the city yet? like those huge ones off that fancy bridge? will they replace these with the paralympic logo?? like those huge ones off that fancy bridge? I imagine the Olympic rings will stay till after the Paralympics. Perhaps for the rest of they year. They definitely wouldn't put the Paralympic logo on there. i always confuse it with London Bridge... or are they the same bridge? In sydney they came down straight away off the habour bridge, well before the Paralympics. I think there was a bit of outrage by the Sydney public, ie why don't the paralympians get the rings... I don't think many people in Sydney understood how independent those games were from the olympics/IOC until the paralympics started.. It was rumoured that the IOC ordered them down before the paralympics... which I sort of doubt..
Any olympic banners or branding were replaced by paralympic logos, mind you the wordmark branding/banners still remained (as will happen in the venues in london). The reuse of the wordmark makes sense in london as the two games share such a common brand story, in sydney however it was a little odd as the Sydney Paralympic Games logo was drastically different and didn't include the wordmark at all. Most games since have shared a common wordmark in the logos, Athens, Torino and Vancouver included. yes - you are spot on. i think they will remove the rings quickly, as the London Olympiad is over. the whole Olympics/Paralympics relationship is a odd one... it is only in recent history that they are hosted by the same city... where in the past they were very much treated as very different events. i am not against these seperating again... though it is unlikely as the Paralympics save a fortune by following the Olympic games. Tower Bridge and London Bridge are different bridges- they just often get confused. London Bridge is actually quite a simple bridge a bit further down the Thames. Interests:From now on, avoiding pathetic squealing idiots. That's an urban myth, he knew exactly which bridge he was buying. At no point did he think he was getting Tower Bridge. None of the banners in the city will change as London was the first city to be allowed to have rings and Agitos from the start. The Park has already begun changing to Paralympic you can see from the Overground the pink way finding totems have changed and the fence scrim, the insides being logo changed as well. Thanks. Just did a bit of an Internet search and read the history of London bridge. WOW!!! Yeh I saw on the news, the day after the closing ceremony - they started changing little details around the park. For example, the signs pointing to the Olympic Stadium now have the 'Paralympic Athletics' picagram of a wheelchair guy, instead of whatever it was before. 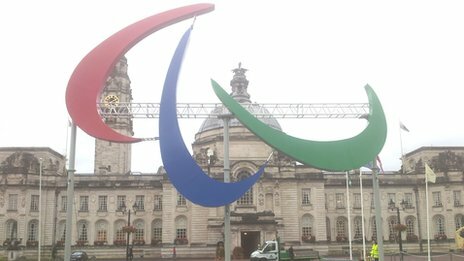 They will be displayed in Cardiff for the duration of the Paralympics, which run from 30 August to 9 September. They are the first of first of five sets of giant Paralympic Agitos to launch in the UK. Council leaders in Coventry have revealed how Olympic organisers turned down a request to keep the city's Olympic rings. 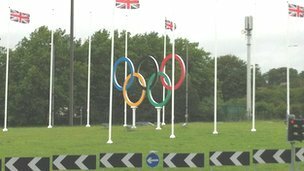 City council leader John Mutton said the authority had wanted to keep the rings on the Rowleys Green roundabout, outside the Ricoh Arena, as a memento. He said the request was turned down by Games organiser Locog. The stadium, rebranded as the City of Coventry Stadium for the London 2012 Games, hosted 12 football matches. Locog is yet to respond to the BBC. Mr Mutton said he was "very sad" to hear the rings were being removed from the site, on the A444, on Friday. "I appealed to Locog [London Organising Committee of the Olympic and Paralympic Games] to see if we could keep them. "They said that not only could we not keep them - they had to be destroyed and photographic evidence had to be supplied to prove they'd been destroyed. It just seems like such a waste." Mr Mutton said they had wanted to keep the rings as a permanent record of the city's "pride in the part it played in the Olympics". He added: "I'd been tempted to get some cardboard rings made up instead and send them photos of those being destroyed instead so we could keep them after all, but I don't think I could've got away with it." Mr Mutton said he was keen for something else to take the rings' place to mark Coventry's role as an Olympics host city and wanted to hear people's ideas. I'm in Wales for the weekend, but there is no escaping the 'lympics! The British Olympic Association (BOA) is to decide what will happen to the giant sets of Olympic Rings that have been placed around the country to celebrate London hosting the 2012 Games. "The BOA is in discussions with the International Olympic Committee regarding the future of the physical manifestations of the Olympic rings placed around the UK during the London 2012 Games," a BOA spokesperson told insidethegames. Although some of the Rings could be saved, the giant Rings on Tower Bridge will disappear in the next week and be replaced by a giant set of Agitos, the symbol for the International Paralympic Committee (IPC) and the Paralympic Games. This will then be removed following the conclusion of the Paralympics. Btw, I won't post the photo I took because I don't want to get in trouble. Why should the picture get you in trouble? Did you enter the village illegally? The official symbol of the 2012 Paralympic Games, known as the Agitos, was suspended from Tower Bridge today ahead of its official unveiling later this month. So they put it on the roof of the bridge where nobody will see it? Keep up Gonzo, it's retractable like the rings were!